50 Five is looking for a Digital Content Creator. If you meet the requirements below, you will be eligible to apply via Digital Marketing Community. Create a roadmap for the content to be published in collaboration with the marketing team. Write blogs, product descriptions, video scripts or other pieces of language. Assist in the coordination of freelancers for the creation of content and translations. Perform quality checks on the websites, take action when issues are raised. Evaluate, test and measure the ROI from cross-media campaigns. Manage the site structure, monitor the pages and make sure the content is up to date. Bachelor’s degree in marketing, communication or a related field. At least 3 years of working experience in the same role. Extensive experience with SEO principles and how to create an SEO friendly content. Proficient knowledge of dealing with various CMS. Intermediate experience in using graphic design software to edit images such as (Adobe suite). Advanced knowledge of online channels and how to deal with them. Basic understanding of (HTML and CSS). Deep working skills in using Google (Docs, Sheets and slides). Superior writing skills with a talent to convince people. 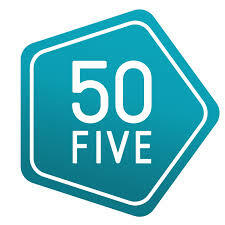 50 Five is the number one specialist in smart home and home automation offers connected devices enhancing the comfort of any home. From efficient heating and energy saving to endless lighting possibilities, attentive security solutions and smart audio devices.